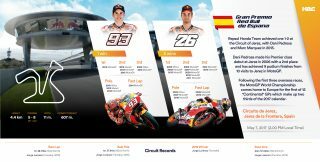 The Repsol Honda Team has returned to Europe following the first three overseas races, fresh from a victory and a podium finish in Austin, and determined to continue the good work in order to keep fighting at the front. A Michelin test was planned today at Le Mans (France), but overnight rainfall followed by cold temperatures meant that conditions made it impossible to take full advantage of a testing day. A post-lunch exploratory car lap by Marc Marquez and Dani Pedrosa confirmed this, so the team decided to completely cancel the test to avoid losing one of the five days of private tests allowed this season. 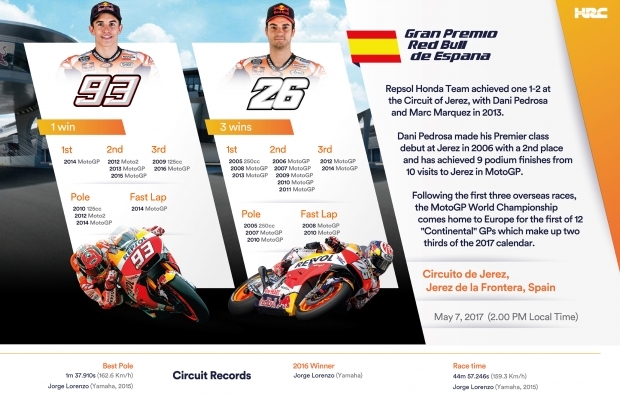 The squad subsequently moved on to Southern Spain for Round 4 of the MotoGP Championship, in Jerez, where Dani and Marc have stood together on the podium for the Repsol Honda Team on one occasion, in 2013, in first and second positions, respectively. 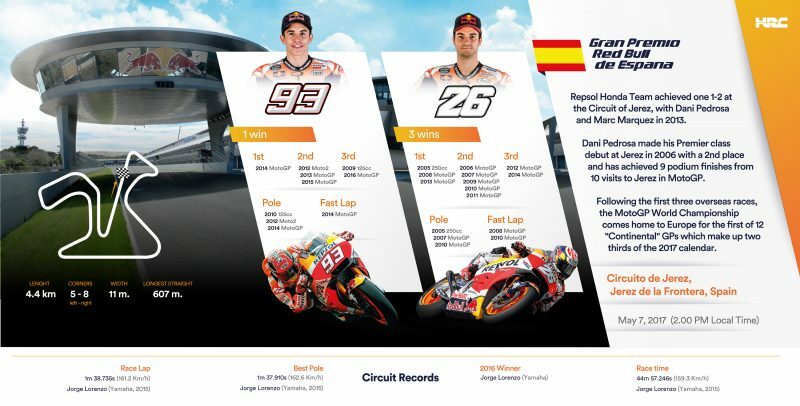 Dani in particular has fond memories of the track, where he made his debut in MotoGP with a brilliant second-place finish in 2006. As usual, the two Spaniards will be able to count on the warm support of their respective fan clubs from the grandstands. 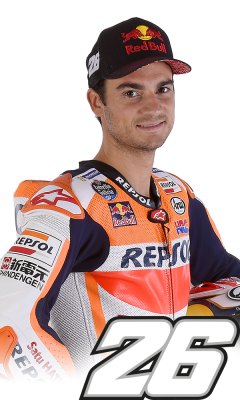 Dani Pedrosa has 3 wins: 1 x 250 (2005) and 2 x MotoGP (2008 and 2013), plus an additional 7 podiums and 3 pole positions. 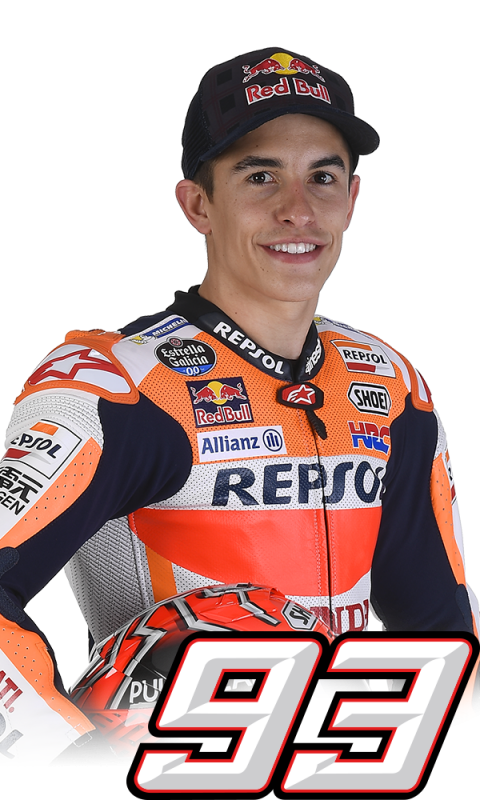 Marquez has 1 win: MotoGP (2014), plus an additional 5 podiums and 3 pole positions.